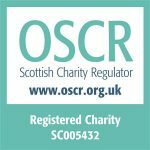 The charity operates to assist and support families and individuals experiencing homelessness by providing packs of household goods, cleaning items, food and toiletries, donated by individuals, faith/community groups and other organisations. 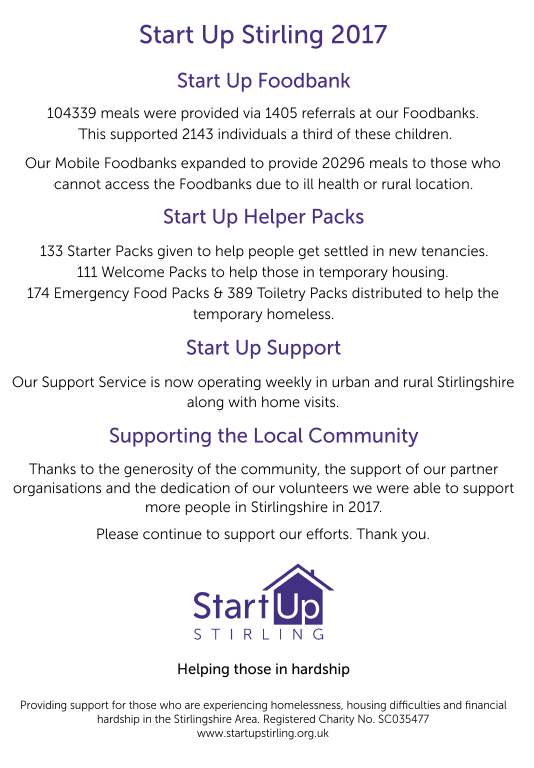 St. Mark’s is supporting the work of Start Up Stirling by holding Retiral Collections at our morning services on the last Sunday of the month. This allows the purchase of fresh fruit and vegetables for the food packs and of essential items for the starter packs. We encourage everyone to also donate items for the food and starter packs. Some of the items welcomed for inclusion in the starter packs. If you are unable to attend church on a regular basis, but would like to be part of this work, please give any donations to your elder when s/he visits.